One result of the post-World War II new world system's emergence, which Turkey wanted to be a part of, was the transition from a single- party dictatorship to a multiparty system that took place in 1945 and culminated with the electoral success of the Democrat Party (DP) on May 14, 1950, the first free election in Turkish history. Adnan Menderes, the person who began to change Turkey's direction in May 1950 was born in 1899 in the West-Anatolian province of Aydın. In his early childhood, his mother and later his father passed away, leaving Menderes to live with his grandmother. During the years of the Independence Movement, despite claims that Menderes collaborated with the Greek invaders (in the West of Turkey), it is not a secret that he received a medal of Independence for his civil and military efforts during this period. However, because he never used this issue as a means of propaganda, few people are aware of this fact. Menderes graduated as a jurist from the Law School of Ankara University in 1935 and was able to speak fluent English and Greek. Apart from his political experience as a member of the short-lived Free Republican Party (FRP) which was closed down by the regime after four months in 1930, Menderes entered into politics as a member of the only party in the country, the Republican People's Party (CHP) on the eve of President Mustafa Kemal's (who was also the head of the CHP) visit to Aydın. Later, Menderes even became a deputy in the Turkish Parliament until his expulsion in 1945, at which time the Democrat Party was established. With superior rhetorical skills and his ability to understand Turkish citizens, Menderes's popularity increased during the opposition years (1945-50). It is known that during its initial phases, the DP had become the most serious candidate for power because of its role as spokesman of all social groups in Turkey who had old and new grievances against the 27 year-old CHP government. Interestingly, the DP promulgated, despite its famous devoting to "change," its loyalty to the entrenched state ideology, Kemalism. Apart from the fact that the Menderes government changed fundamental radical secularist policies implemented by the CHP, such as the re-introduction of the original Arabic version of the prayer's call (ezan) which was required to be recited in Turkish from 1932 to 1950 as a part of nationalistsecularist CHP policies. However, the DP also passed the so-called "Law No: 5816" "concerning criminal acts against Atatürk." A globally unique case which prevented many post-Menderes scholars even to make appropriate researches about the Kemalist era. In the first "controversial" democratic election in 1946, for which the DP did not have the necessary time to mobilize and organize itself, the DP won 62 seats in parliament. The DP remained in the opposition until May 14, 1950 when it ultimately won the election, receiving 53 percent of all votes. The 1950 elections constituted a watershed in the history of Turkish and Middle Eastern democracy. Until that time parliamentary politics were perceived merely as an extension of the state bureaucracy and administration led by the single party regime. Thus, for the first time, a so-called popular electorate received the opportunity to express its political choice against a statist tradition, represented by then by state elites. The CHP, which henceforth represented the opposition, could not come close to challenging and bringing about the fall of the DP government in three subsequent elections until the 1960 coup d'état: In these three assemblies - 1950, 1954, and 1957 - the CHP, the largest opposition party, had 69, 31 and 178 seats, respectively, as compared to 408, 503 and 424 seats held by the DP. Even the famous socialist politician and writer, Şevket Süreyya Aydemir, who can be counted as an ideological counterpart of Menderes, had honestly admitted that Menderes was a man that represented the people's voice. Consequently, he became the people's beloved one which is very much an exception in Turkish history. When the Democrats came to power in 1950, the party wanted to change things as soon as possible. Their famous motto, "Enough! It is the nation's turn to speak," which is also a famous slogan today, was a fundamental symbol for the era of change. It is known that the DP internalized some of the liberal ideas of the Progressive Republican Party (PRP) which had been closed down in 1925, even prior to establishment of the Free Republican Party (FRP). Furthermore, the DP represented a more tolerant and respectful position toward religion and religious lifestyles, and, was more lenient to the Kurdish minorities while being more supportive of free-market capitalism. Despite the fact that the DP "free marketeers" came to power in 1950, they did not have the necessary power to ensure a comprehensive liberalization of the entire economy for a long period. In other words, the nature of the economy did not lend itself to a wide-ranging liberalization with additional unexpected declines particularly in the agricultural sector. But today, these facts do not have a primary meaning with regard to Adnan Menderes as a symbol of Turkish democracy and people's will. 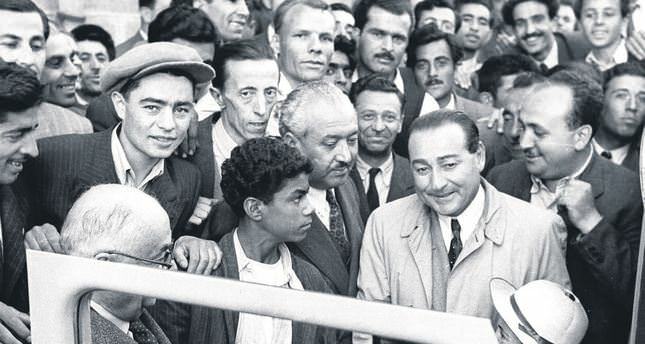 Subsequent to the deposing of the government by the military on May 27, 1960, Menderes was arrested along with various leading party members charged with violating the constitution. One interesting argument regarding the reasons for the military coup is the alleged support by the U.S. and some Western countries, which according to some accounts backed the military coup as a reaction to Menderes' ambitions to seek better relations with the Soviet Union and even ask for loans. Such a move would have been similar to that by Egyptian President Gamal Abd'el Nasser, when he turned to the Soviet Union for assistance after not receiving a loan from the World Bank for his Aswan dam project situated across the Nile River. Not only did Nasser obtain a loan but he also managed to distance his country from American and Western influences for the subsequent years and decades. However, these suggestions about the 1960 coup d'état have not been proven, however, that could change in the coming years when the government moves to address the coup, at least symbolically, as it is currently the case regarding the 1980 coup d'état and the Feb.28 post-modern coup. When Menderes was put on trial until Sept. 17, 1961 he and two of his ministers were ultimately hung at the gallows, measures which were implemented by the DP governments in the 1950s that allegedly contradicted with "Atatürk reforms" were canceled by the military junta. Secularism and nationalism, after an alleviation period of 10 years between 1950 and 1960 again gained importance as was the case from 1923 to 1950. In addition, many economic projects initiated by the DP were also abandoned during this military period. It was a fact that with the new constitution of 1961, the junta succeeded in taking several measures to ensure the formation of a new regime. Thus, a quasi-democracy was established, in which elected politicians could be kept under check, and, when deemed necessary, overthrown by the Kemalist establishment even until the Turgut Özal era in the early 1980s.